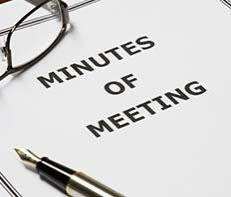 Most of us have been in meetings where we are given the task to jot down the meeting minutes or have observed one of our colleagues do the job. And, we all know this means that we have either spent the entire meeting scribbling continuously or watched someone else do it only to find out that the notes we took missed out on some important information. That’s not the only let down in this scenario, we would have also not participated in the meeting or played any role in any of the decisions made which is huge setback. The best way to resolve this and maintain an accurate record of what transpired in the meeting is to automate it so that we are all on the same page when we walk into the meeting and walk out of the meeting and that’s exactly what Wizergos does. 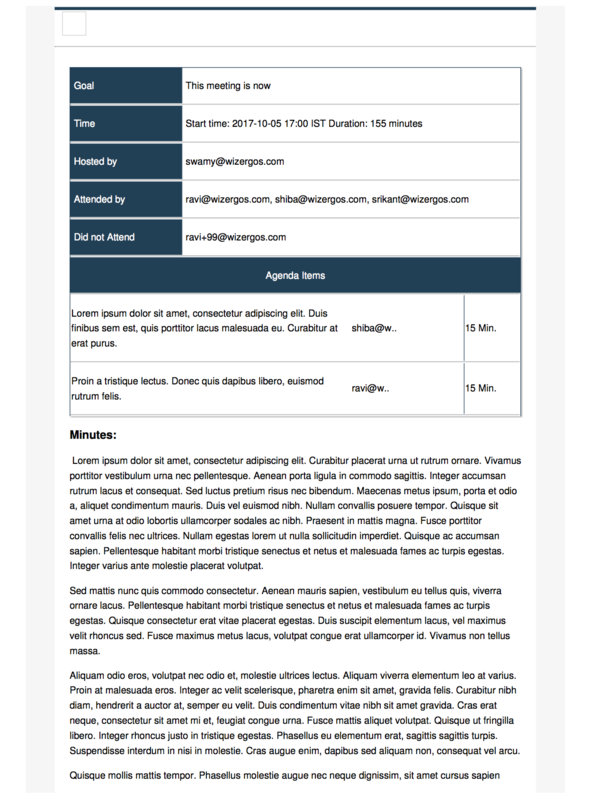 Wizergos is a cognitive meeting minutes tool that mainly uses speech recognition technology to capture your meeting minutes which helps you to stay focused on the meeting. Wizergos doesn’t stop at that, it goes one step beyond just jotting down the meeting minutes and sends the meeting minutes to all the participants while the meeting is still fresh in everyone’s mind. This ensures that everyone who attended the meeting has the same recollection from the meeting.